From boutique beach hotels and full service resorts to charming city inns and country retreats, Mexico offers couples plenty of choice when planning a relaxing getaway. Check into a room just steps from the beach, attend wellness classes, relax by the pool, indulge in spa treatments, and go on unique tours that will let you relax and rejuvenate in a beautiful setting. 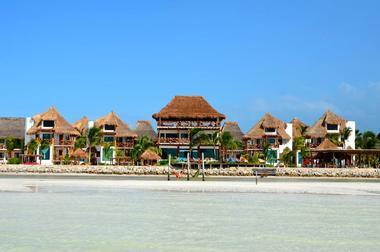 Here are some of the best vacation spots in Mexico. Casa Las Tortugas has 21 rooms and suites designed for romance, featuring artisan-made colonial furniture as well as antiques. 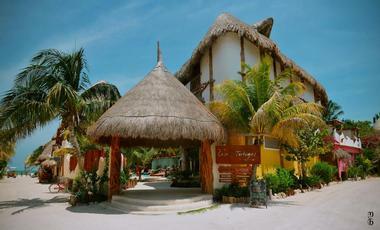 They have a bohemian-chic feel, roomy double beds, and thatched palapa roofs. Some rooms have views of the pool or spa amenities. Each one has a natural stonewall shower and hand-painted bowl sink plus ecological mosquito repellent and toiletries. 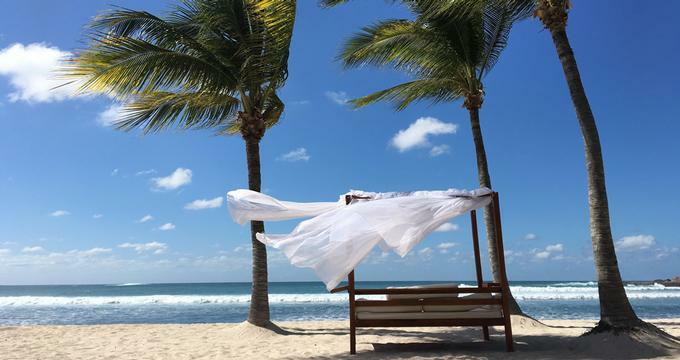 Stretched along the mile-long golden sand beach, La Zebra is a newly renovated hotel in Mexico’s resort town Tulum, with a range of activities just a few miles away. Cenotes Sa Actun caverns, located less than one mile away, offer spectacular cave diving, and Yaan Wellness Tulum is nearby as well. The rooms are beautifully decorated with local textiles and art and all have decks and daybeds. Some even have balconies and plunge pools. Private cabanas have thatched roofs, porches, and outdoor tubs. The hotel is surrounded by lush tropical jungle full of flowers and fruit trees. There is live music every night, and the restaurant is known for great local food and a wonderful atmosphere. Located 45 minutes from the Puerto Vallerta International Airport, Hotel Villa Amor is an oasis of luxury and beauty featuring 26 oceanfront villas. Overlooking the small fishing village of Sayulita, this resort provides an off-the-beaten-path experience. The villas are strategically placed so that guests are afforded views of the nearby traditional fishing village of Sayulita, the Pacific and her coastline, and the rainforest covered hillsides. The hotel offers a jungle spa, the outdoor yoga studio, a heated saltwater infinity pool, and an oceanfront bar & restaurant. It is located close to both the village and the beach, making it well placed for many water-oriented activities. 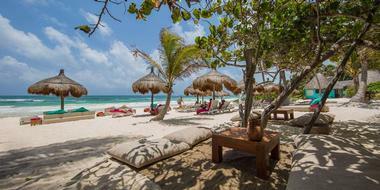 UNICO 20° 87° is a luxury adult-only tropical paradise in Quintana Roo, on the Mexican Riviera Maya. Overlooking a sparkling sandy beach and endless ocean, this resort is the ultimate indulgence with private butlers, decks with an ocean view, beautiful hand-made furniture, hot tubs, and all modern conveniences. The seafront villa even has a kitchen, while suites have spacious living rooms. There are four restaurants, three cafes and bars, a spa, a gym, a pool, and live entertainment. The resort is all-inclusive, the service is fantastic, and you will have a vacation of your life, so don’t feel guilty about leaving the kids at home. 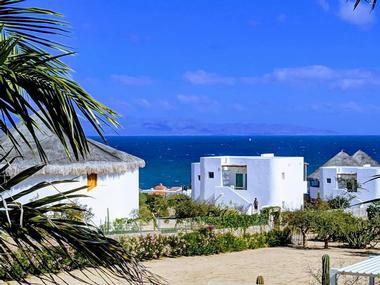 Casa Tara Retreat is a peaceful beachfront retreat located within a fishing village in Mexico's Baja Peninsula near La Paz, offering spectacular views of the beautiful La Ventana Bay. The retreat, which is owned and operated by Marcela Ley and Miguel Angel Bravo, is named for the Buddhist bodhisattva deity of the same name, who is believed to have continued to incarnate on earth after reaching enlightenment to help enlighten all souls. 12 lovely boutique-style rooms are available for overnight rental, offering modern amenities such as private patios, air conditioners, and in-room safes. The retreat's facilities have been designed according to Feng Shui principles to maximize visitor comfort and are entirely solar-powered to minimize environmental impact. Amenities include the La Moringa restaurant, which serves up dishes prepared with locally-sourced organic ingredients, and the Kahlal Spa and Wellness center, which offers massage, aromatherapy, and holistic healing treatments. Yoga and meditation courses with award-winning instructors are also offered, along with a pool and beach club. Playa Azul Resort is perfect for guests who want to go scuba diving, spend time in a spa, or just relax and enjoy the natural beauty of Cozumel, Mexico. The entire property has wireless Internet to help you stay connected. There are a total of 50 accommodations, including 34 rooms with ocean views, eight deluxe suites on the ocean, four suites with ocean views, and four suites with Jacuzzis on the ocean. Most rooms can sleep up to four people, and all have phones, alarm clocks, coffeemakers, hair dryers, air conditioning, walk-in showers, and safety deposit boxes. Many also have balconies, living rooms, a desk, multiple plasma TVs, sofa chairs, sofa beds, mini-fridges, and Jacuzzis on the balconies. Guests at Playa Azul get free green fees at the nearby Cozumel Country Club, making it perfect for golfers. This is the only golf course on Cozumel, and it has 18 holes with various challenges. The Savia Spa has body treatments and massage therapies that were influenced by the Maya. You will find options like sports, prenatal, aromatherapy, deep tissue, Swedish, and holistic massages as well as facials, hot stone therapies, and salon services. The establishment also boasts a free breakfast with a full buffet. There is also the option to make your stay all-inclusive if you prefer or buy your meals separately. Hosteria Las Quintas gives guests easy access to all of Cuernavaca, the city of “Eternal Spring.” There are 121 rooms available with several different styles of rooms. The hotel has Terrace Suites and Terrace rooms with Jacuzzis with a single king bed or two double beds. Rooms can sleep four or five guests, and all of them have cable on flat-screen HD TVs, air conditioning, a digital safe, a closet, a coffeemaker, a hairdryer, a minibar, an iron with ironing board, terrace, and a vanity mirror in the bathroom. You can choose a smoking or non-smoking room. There is also free Internet throughout the property. Guests can also explore the extensive grounds, enjoying a walk through the botanic gardens or a glance at the sculptures. This hotel also has a spa, gym, and sauna on site, including a Jacuzzi and three different pools, all of which are outdoors. There is also an on-site restaurant that is perfect for business or social meals as well as a quiet meal that lets you relax and take in nature. Here you will find upscale Mexican dishes as well as other meals. The surrounding plants help create a cozy, romantic atmosphere ideal for dining. 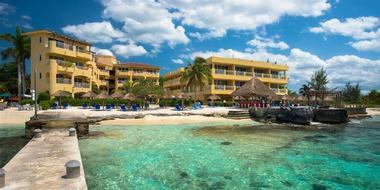 Hotel Akumal Caribe was the very first resort plus beach club in Akumal. 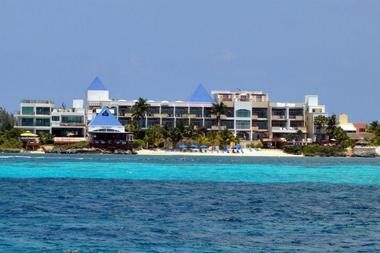 It is situated on one of the calm bays of the Riviera Maya, just a quick trip from Cancun. There are a wide range of room types to choose form, including Beachfront Hotel rooms, Beachfront Corner Rooms with a view, Bungalows (some of which are right next to the spa), Premium Bungalow Rooms, condos, and numerous options in several villas. The basic Beachfront Hotel has 21 rooms that face the main bay and pool. Each has a balcony, king or two double beds, air conditioning, mini-fridges, ceiling fans, coffeemakers, and wireless Internet. Some rooms also have bathrobes, kitchenettes, day beds, a full kitchen, a CD player, TV with DVD player, blender, and lounge chairs. Condos have even more amenities and space, including multiple bedrooms and bathrooms plus a living/dining room. Right in front of the hotel, you will find white sandy beaches with bright blue water. You may even see dolphins or sea turtles. The property has wireless Internet throughout, a swimming pool, purified drinking water, beach towels, and on-site parking. The on-site restaurant Lol-Ha serves breakfast and dinner, and you can enjoy lunch at the Beach Bar. 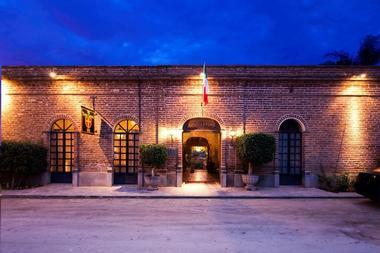 La Puertecita Boutique Hotel is a boutique hotel that has been open since 1990. Its location at the top of a hill allows you to enjoy the gorgeous views of San Miguel de Allende. 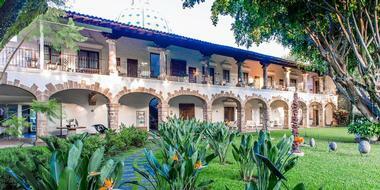 Each of the 24 rooms has a unique design with wrought iron, palm, clay, or wood furniture made by artisans. Guests can choose from a Luxury Room with two queens or a single king bed, a Suite with a single king or queen bed, a Junior Suite with a king, or a Honeymoon Junior Suite with a king. All rooms have dressing gowns, security boxes, toiletries in the bathroom, a dressing room, a private bathroom, and a terrace. Some rooms also have interior gardens, and the suites come with fireplaces, living rooms, dining rooms, and optional small kitchens. The Honeymoon Junior Suite is ideal for romance with its Jacuzzi and stained-glass windows. The building and property has contemporary colonial architecture, hand-carved stone windows, terraces, gardens, leafy trees, waterfalls, creeks, and water lily ponds. You can enjoy international and local dishes at the on-site restaurant and bar. 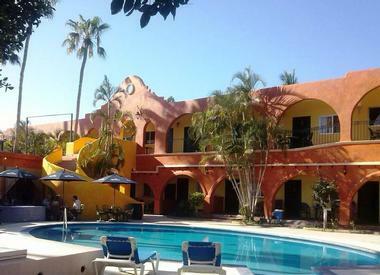 Hotel Mar De Cortez sits inside a colonial-style building right in downtown Cabo. There are 88 rooms, each of which has air conditioning. You can choose from a Garden View Room with a queen and a double bed, a Terrace Room with a queen and a twin, a King Suite with a king and two twins, a 2+2 Suite with two doubles and two twins, or a Standard Room. The Standard Room can have two doubles, a king, a combination of a double and twin, or a combination of a queen and a twin. All rooms have air conditioning, wireless Internet, toiletries, and access to free beach towels. You can also request a mini-fridge. Some rooms also have private patios or balconies, sitting areas, and extra-large showers. Guests can relax in the swimming pool or take advantage of the free wireless Internet. You can enjoy breakfast or lunch at the on-site restaurant and bar, El Cortez. An all-American breakfast is complimentary depending on how you book. There is also a sports bar with happy hour and a TV. The Belmar Hotel Galeria is conveniently located right in downtown Puerto Vallarta in the area between the Romantic Zone and the Malecon. There are 30 rooms, each of which has cable TV, a ceiling fan, air conditioning, free wireless Internet, and a safety box. Each room has its own personal style with Mexican themes. Rooms can sleep two or four people, and you can choose from a Studio Interior or Exterior Room and an Exterior or Superior Gallery. Studio rooms will be quieter and sleep up to two people in two singles or a double bed. Studio Exterior rooms add a balcony and desk. The Gallery rooms also have desks and can accommodate four people. Exterior Gallery rooms also have a balcony. The Superior Gallery also has a kitchenette and dining table. The Belmar Hotel Galeria is an art gallery as well as a hotel, and it features numerous local artists. The hotel’s location gives guests easy access to jewelry stores, boutiques, bars, restaurants, art galleries, shopping, and more. 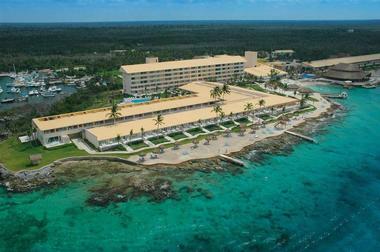 InterContinental Presidente Cozumel Resort & Spa provides an elegant destination with half a mile of private beach. Each of the 220 rooms has lavish appointments with their own private balconies or terraces. There are even 37 suites with one or two bedrooms and views of the Caribbean Sea. You can choose from a view of the pool, reef, or ocean and a room or suite. Just some of the room amenities include wireless Internet, hair dryers, complimentary bottled water, coffeemakers, in-room safes, phones, minibars, irons with ironing boards, and LCD TVs featuring satellite channels. There is also 24-hour room service, valet service, and laundry. Rooms can be smoking or non-smoking, and some also include outdoor showers, radio alarms with iPod docking, and living rooms. The spa has a Jacuzzi, oceanfront and indoor treatment areas, a hydrotherapy circuit, a steam room, and a salon. There is also a Chiqui Club for children, daily excursions with the Scuba Du Dive Center, a putting green, two tennis courts, a 24-hour fitness center with satellite TV and air conditioning, a business center, and space for meetings or weddings. You can eat Italian at Alfredo di Roma, international and Mexican at El Caribeno, a snack or drink at Cana Brava Bar and Grill, or an upscale meal at Napa Grill Steak & Sea Food, and you can also get a drink at the Bin K’iin Lobby Bar. 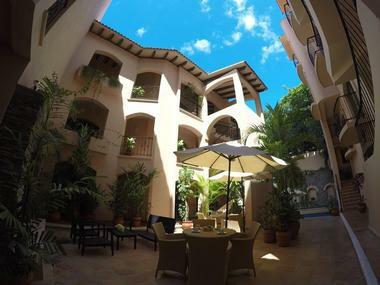 Hotel Casa Cupula is an LGBT hotel in Puerto Vallarta affording guests a welcoming and relaxing space in a boutique hotel. There are 22 luxurious boutique rooms in this hotel located within the Amapas neighborhood, giving guests easy access to the gay beach as well as numerous restaurants and bars. You can bring your pet on your vacation and find wireless Internet, Bluetooth iHome radios, USB ports, and Apple TV. Rooms have pillow-top mattresses, reading lamps, air conditioning, ceiling fans, oversized towels, mini-fridges, luxury bath amenities, slippers and bathrobes, hair dryers, coffeemakers, large safes, cable TV, and more. For even more amenities, choose the Penthouse Suite with 1500 square feet and private access to the rooftop terrace with an infinity dipping pool, barbeque, outdoor shower, and lounge area. Guests get complimentary access to the Pump Gym & Spa with machines and weights along with a steam room and Sundance Spa. At the spa, you can enjoy a massage, facial, body wrap, or other treatments. The on-site Taste Restaurant has fine dining that you can enjoy in your room or next to the pool if you don’t want to eat in the restaurant itself. You can enjoy breakfast, lunch, dinner, or brunch on Sundays, featuring Mexican dishes. Staying in a suite gives you complimentary a la carte breakfast. 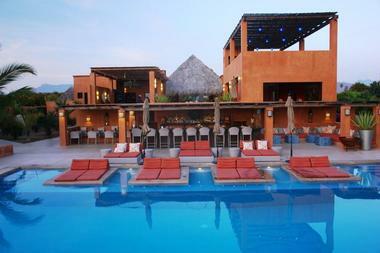 Mision del Sol Resort & Spa, located in Morelos, is designed to provide guests with an escape from their daily lives. 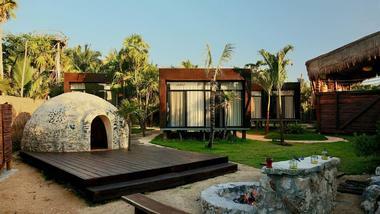 The resort aims to increase universal awareness with plenty of natural elements. It is great for families with children over 12 or couples who want a relaxing getaway. Guests can choose from 40 Luxury Rooms, Villas, or Apartments. The beds have magnets that help balance and regulate your energy levels to ensure a restless sleep. Rooms sleep two to three people while villas can sleep four to six and apartments can fit four. The Villas have a living/dining room, an area for meditation, and a private terrace. The Luxury Apartments have two rooms with queen beds. Throughout the property, you will notice light colors, smooth design concepts, and gorgeous lush gardens. The buildings are made with biodegradable and recyclable materials like wood, stone, and adobe for sustainability. Guests never need to leave the property if they don’t want to, as there are various sports on-site, including Pilates, spinning, water aerobics, aerobics, body balance, yoga, express way, sand volleyball, paddle tennis, and traditional tennis, and there is also a gym. Encuentro Guadalupe used to be known as Hotel Endemico, and it is the ideal hotel for those who want to get away from civilization and enjoy the natural beauty of Mexico. The 22 rooms are modern in style, featuring balconies and floor-to-ceiling windows that look over the valley. The décor is minimalistic but you get all the modern amenities you need, including seating areas, iPod docks, air conditioning, and private bathrooms with showers along with free wireless Internet. Rooms have either a king bed or two double beds. 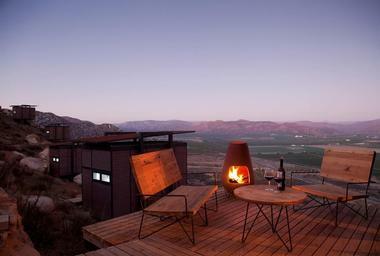 Encuentro Guadalupe is in the middle of an ecological reserve, providing numerous chances to interact with nature. The property has an outdoor pool as well as a hot tub, and there are a few vineyards nearby. Guests can schedule a massage to help with relaxation as well. You can easily reach restaurants and vineyards in the area and take advantage of shuttle services provided by the hotel’s vehicles. The concierge can help you arrange outings and provide suggestions. There is also a restaurant and snack bar on site, and guests receive a complimentary breakfast. This adults-only oceanfront resort offers 26 suites and an extensive list of complimentary amenities. Nestled between the Pacific Ocean and the Sierra Laguna mountains, Rancho Pescadero is just a short drive from Cabo San Lucas. The resort boasts two restaurants, two pools, complimentary yoga classes, bicycles, surfboards, beachfront and poolside cabanas, and much more. A full spectrum of spa treatments is offered in the oceanfront spa rooms. Activities offered at Rancho Pescadero include Farm-to-Table cooking classes and mixology classes. This resort is also well suited for surfing, wildlife viewing, fishing, and other water-oriented activities. Wireless Internet is also available throughout the resort, including poolside. Just a few steps from the beaches of Playa del Carmen, the Acanto Hotel is a boutique condominium hotel with a range of suites. The suites have one, two, or three bedrooms and plenty of luxuries. All guests have access to long distance phone calls and wireless internet. Every room has a flat-screen cable TV with the option to request a DVD player, a ceiling fan, air conditioning, a microwave, a safety deposit box, an iron with ironing board, a night table, a radio with alarm clock, a telephone, and a coffee maker. The rooms feature either a king bed, a queen, or two twin beds. The private bathrooms all have individual showers, marble counters, bath amenities, a magnifying vanity mirror, and a hair dryer. There are even terraces or balconies in all suites along with fridges, ovens, microwaves, and stoves plus dining tables. For even more amenities, stay in the Penthouse, which has a full kitchenette and a private rooftop with a BBQ, chaise lounge, and great views. For guests of hotel, there is a daily continental breakfast that is served in the courtyard and includes coffee and juice, fruit, cereal, jam, assorted bread, and more. You also get the benefit of discounts at local restaurants plus complimentary access to the Beach Club with the purchase of a drink or food item. 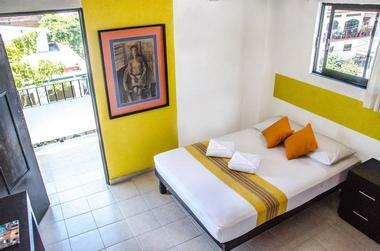 Located on the island of Holbox off the Yucatan peninsula, Hotel Villas Flamingos is small boutique hotel. Appropriate for honeymooners and large groups of friends and families alike, this resort offers rooms with dynamic views, whirlpools, and even interior swimming pools. It is located on a 200-meter beach and features in-water hammocks strung over crystal blue water. As the hotel itself is located within the Yum-Balam nature reserve, it boasts ample opportunities for bird and wildlife viewing. 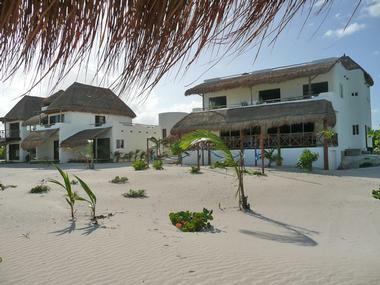 Because it is such small island, Villas Flamingos is in close proximity to all that Isle Holbox has to offer. Just 8 miles off the coast of Cancun, Hotel Villa Rolandi invites you to enjoy the luxury and adventure of Isla Mujeres. The location provides guests with access to the azure waters and white sands of the Caribbean and a stunning view of the skyline of Cancun. With just 35 suites, this resort is intimate but boasts both an award winning restaurant and spa as well as a private beach. A unique feature of this accommodation is their yacht transfer service. The resort’s private yacht picks up and delivers guests to and from Playa Linda on the mainland. The only Todos Santos property that is a historic hacienda hotel, the Todos Santos Inn is right in the middle of town, giving guests easy access to the beach, shops, restaurants, and galleries. You can choose from a traditional Terrace Room with a king bed or two queens, a Junior Suite with a bathtub and sleeper sofa, or a Garden Suite with a private patio. All rooms have wireless Internet, private bathrooms, and air conditioning. Suites can also have living rooms. The property has courtyard gardens, high-beamed ceilings, antiques, and other features that help transport you back in time and provide ultimate relaxation. 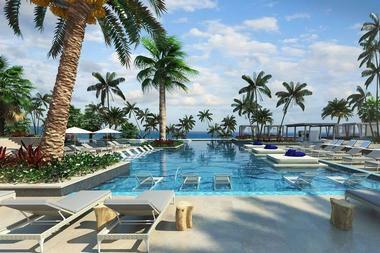 There is also a heated swimming pool, an upper patio, yoga classes, and access to world-class surfing. Enjoy a drink at La Copa Bar or a meal at Restaurant La Copa Cocina. This restaurant has casual indoor and outdoor dining with Pan-American dishes featuring Asian and European touches. Breakfast is included with every stay. If you time your visit correctly, you can watch the release of the sea turtle hatchlings. There is also swimming, surfing, whale watching, and various tours and eco adventures in the area. This micro-resort is truly intimate with just eight well-appointed romantic suites, all located within steps of the Mexican Caribbean. A visit to Almaplena provides views to both the sea and jungle. Amenities include a Mexican inspired continental breakfast and a beachfront restaurant that is truly on the beach. The Anticavilla Hotel is located in the center of the city of Cuernavaca and provides a luxurious and romantic base from which to explore the city. With a mixture of Mexican-chic and modern details, the Anticavilla includes a highly-praised restaurant and the Paradise Lounge Bar. Both the restaurant and bar allow for outdoor seating in the beautiful and large gardens that make up the center of the hotel grounds. Hidden in those gardens is a near Olympic-sized, palm-shaded infinity pool. There are only twelve suites at this boutique hotel, and many rooms include a fireplace, jetted tub, and private patio. A visit to the five-star Maikiki Spa will round out this romantic get-away. Nestled in the hills above Acapulco, the Banyan Tree Cabo Marques affords its guests beautiful views of the bay and the city. Cabo Marques is part of the Banyan Tree line of hotels, a hotel group well known for exemplary service. This hotel features large and luxurious villas situated on stilts and perched on the hillsides. It also features an infinity pool, spa, and a “romance concierge.” The location allows guests to explore the beaches of Acapulco, and the hotel staff is happy to arrange many water activities and day trips. A restaurant and bar are also available on site. A 20 suite resort nestled on the Mexican Caribbean, the Be Tulum Beach Resort and Spa is located just outside the traditional Mayan town of Tulum. The resort includes a beach club and lounge bar that specializes in on-the-beach services. All rooms include either a private pool or Jacuzzi and offer a variety of views. 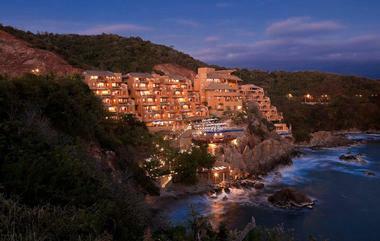 Capella Ixtapa is a 59 suite resort in the worldwide Capella chain of resorts. 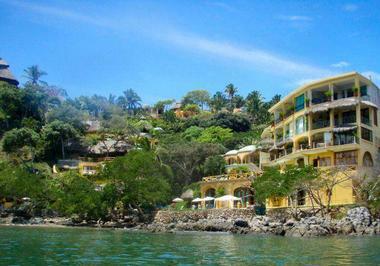 It is located in Ixtapa just a few miles up the coast from the fishing village of Zihuatanejo. 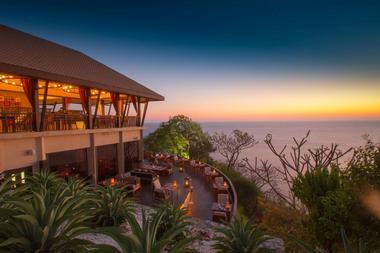 The resort is perched on a cliff side overlooking the Pacific. It features four restaurant and bar options, a spa with outdoor treatment facilities, and a fitness center and yoga studio, as well as two freshwater pools. Suites include rainforest showers, private plunge pools, king sized beds, and complimentary refreshments. A personal assistant service is available to guests 24 hours a day both before and during their stay. Cuixmala used to be a large private estate with three kilometers of sandy beaches and 25,000 acres. Today, it is the perfect place to relax in a suite or villa. There are even casitas for a very private experience. The main house has high ceilings, courtyards with fountains, and more. The Suite has a large terrace, splash-pool-sized Jacuzzi, and even a bathroom with an ocean view. The main house also offers three other deluxe suites. The six bungalows are spread around the house and provide private accommodations with a private terrace that wraps around, a bathroom with natural light, and one or two bedrooms. Villas have living rooms with an ocean view, an outdoor living terrace, a master suite and more. The casitas are even more private and provide easy access to the trails. They also have a living/dining terrace outside, a TV room, and a king bedroom. The grounds include acres upon acres of land to explore, including beaches, lush vegetation, and lagoons. The main house has a dining room, media room, office, library, and living areas. Outside, there is an oversized saltwater swimming pool with nearby terraces and a large palapa that you can eat underneath. Enjoy a delightful lunch at Caleta Blanca.